As I start the new week I’m excited about the week that was. 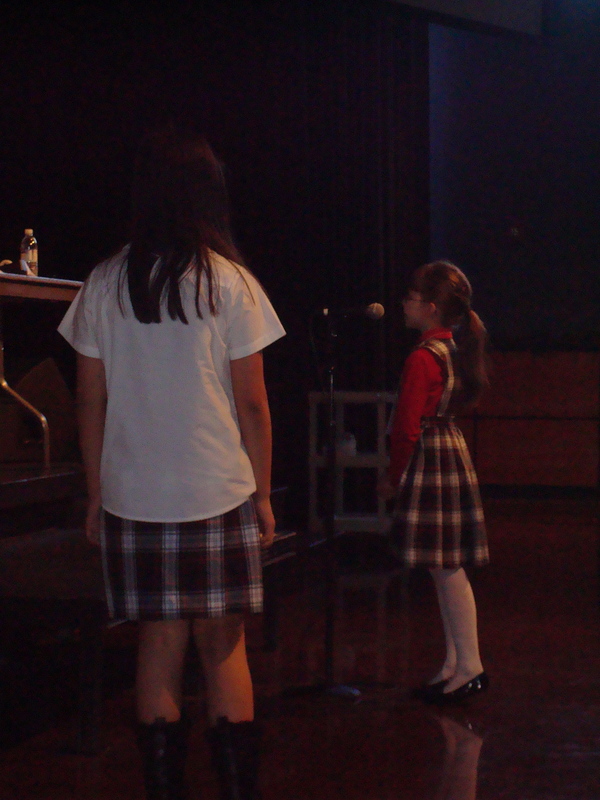 Last Wednesday our family converged on Halle and Audrey’s school to watch them both in their school spelling bee. The First graders went first and Audrey made it through her first two practice rounds and the first two rounds of the actual bee; she unfortunately missed her word in the third round, but finished in 6th! A couple hours later it was time for the Third graders to go at it. I couldn’t believe some of the words Halle (and her friends were given). One word Halle was given, I had never even heard before: “baronial.” We nervously watched and cheered her on through the first few rounds, it got way more intense as she made the top 7, then 5, then 3… all the way to the first place! After the new year she’ll be representing all the 3rd graders at her school as she heads to the regional event! Way to go Halle! Late in the week I received a weekly email from YMToday.com. I was very excited to see that they selected one of my blogs as their Featured Article. Very cool! Here is a link to it if you’d like to read (or re-read since it was on my blog a few weeks ago). In addition, I did the finish work on both Anywhere: The Mission Prep Workbook and this year’s Leader’s Guide. These are both off to the publishers for actual print/production now! Yay! Last, we received some brand-new registrations this last week at Youthmark, I love getting return churches, because these friends really “get” Youthmark and Mission51, but I have to say that it is really exciting to have some new folk jump on the the Youthmark train! Welcome teams! Here’s to a new week!